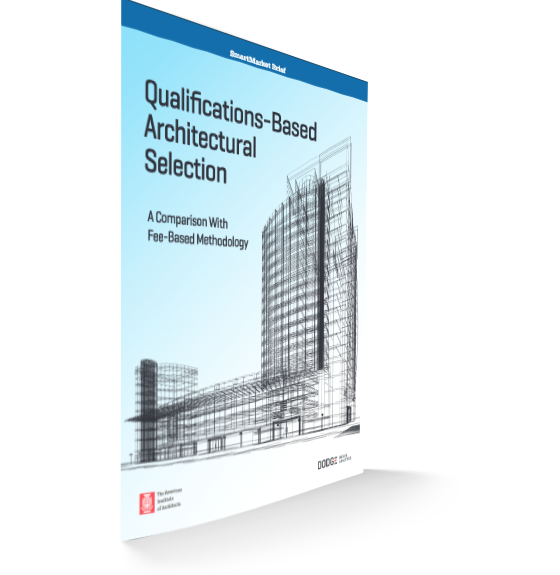 This report features new research with owners who have experience with selecting the design team through a qualifications-based and fee-based approach in order to determine which approach yields better results for owners. The study reveals higher owner satisfaction with teams selected using a qualifications-based approach than those with a fee-based approach on nine different measures, including quality of project, amount of rework needed and dealing with project challenges like accelerated schedules, site issues and high levels of complexity. A much higher percentage of owners would prefer to use a qualifications-based approach again than those who would prefer to use a fee-based approach. Top drivers for adoption of a qualifications-based approach include reducing project delivery problems and dealing with complex projects.